Savlon is a brand of hygiene products, with a heritage of more than 50 years in India. 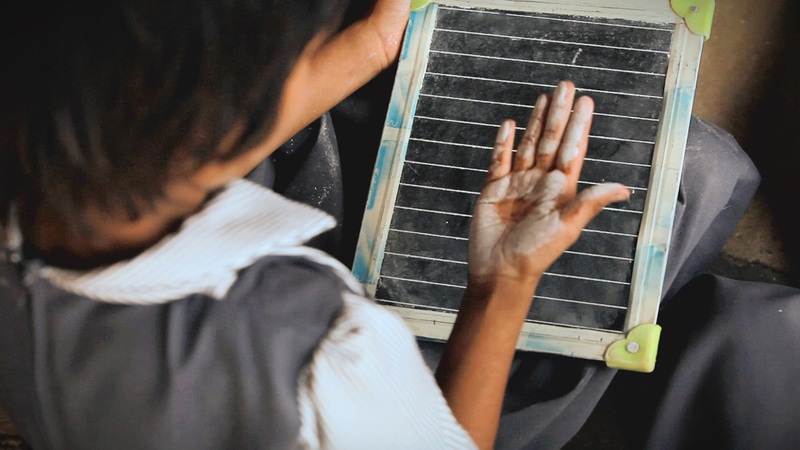 In India, more than a thousand children die everyday due to poor hand hygiene, and yet, teachers struggle to enforce the use of soap in schools, and parents often can’t afford it. To help reduce illness, Savlon launched the Healthy Hands initiative, in partnership with Ogilvy India, to use a simple, easy-to-use product for good. Savlon developed special chalk-sticks, infused with soap particles, meaning that when children wash the chalk powder from their hands, it turns to soap. Beginning with a pilot program, Savlon identified 100 rural schools most in need of the Healthy Hands solution, providing chalk sticks to these schools. The impact were immediate, and from there, the chalk-sticks were then given to 150,000 students in more than 100 schools across 22 cities. On World Children’s Day, Savlon created an online video about the importance of hand hygiene in children, generating over 4 million Twitter impressions in just four days. As a result of the awareness, Savlon was approached by the world’s largest school lunch provider, Akshaya Patra, to distribute these chalk-sticks to more than 1 million students in India, every day. The initiative continues to grow. Savlon Healthy Hands campaign was featured in over 70 newspapers across India, as well as on TV, and won 10 awards at Cannes Lions 2017, and the Cannes Lions 2018 Grand Prix for Creative Effectiveness.